The two areas where I find buyers being trapped are becoming emotionally attached to a property, and not allowing numbers (logic, data) to drive decisions. Most home buyers fall in love with a property before they have analysed it. They view it online, like it, inspect it, love it and assume (and want to believe) that all is perfectly well with their newfound love. But property purchasing is an expensive decision that is costly to make and even more costly to change, once the purchase has been made. We weigh up holidays, cars, schools and jobs using data and numbers. We look at what we want and need and go searching in the places that will give us what we are after. We really hone in on finding what we want and only then to do we consider falling in love with it. But for most property buyers, it seems to be a reverse process fall in love, then stop and think .... and get massively disappointed. For some people - particularly those who feel exhausted with their property search - the desperation to buy something and the emotional attachment to this particular home makes it difficult to accurately assess and use the data on the home that may support buying - or not. What sort of data? I'm referring to a strata report, building and pest report, property appraisal by an unbiased buyer's agent, independent inspection and thorough due diligence on the property. When you work with a buyer's agent, you can avoid becoming emotionally attached to a home that might not be right for you because the buyer's agent assesses all properties before presenting them to their client. In this way, clients are shielded from the emotional roller coaster that is buying property. Which brings me to the next point: letting the data inform the decision. Purchasing property is all about the numbers and data. You absolutely don't want to buy a dud, even if you happened to fall in love with it. When the numbers don’t stack up, your buyer's agent will know, and when you are not emotionally attached to the property, you can heed their advice. Melissa Maimann is a Licensed Real Estate Agent and Buyer's Agent in Sydney. She assists home owners and investors alike with a responsive, accurate and affordable service that empowers property buyers to make informed purchase decisions. Melissa's service is diligent, efficient and accurate. If you need expert knowledge and advice for your next purchase, don't hesitate to make contact. Could your Credit File be Affecting your ability to get Finance for your Next Property? One way that that lenders assess your loan application is by examining your credit file or credit score. Many people are not sure what this is. Every time you make an application for credit, say for a credit card or a loan, or default on payments a note is made in your credit file. When a potential lender reviews your file, they assess the information it contains. You can find your credit score here. A stable income, high credit score and the correct choice of property will assist banks to assess your credit rating favourably. It's a question I am asked on an almost daily basis. The question is simple; the answer is not. Property markets exist within markets. Even within the same suburb / postcode, there can be different markets. We can all think of suburbs where there is the "right side" and the side that you just wouldn't buy in. But it is more complicated than this. An influx of new developments can push up the median price, but this does not mean that the value if established properties has risen. A lack of stock on the market may contribute to a rise in prices, but this does not mean the trend will continue when stock levels increase. Stock levels may be high, but demand for that stock may be low - so the price for that stock will decrease, meanwhile the value of the property that would be in demand would increase. Markets can be separated by location, price, dwelling type, bedroom number, size, style, old vs new etc. So when I am asked, "How's the market?" My answer is generally vague before asking more specific questions about which market, and which segment of the marker, the person is asking about. Surprisingly, 33% Sydney homes contain asbestos. The safest option for owners is to have their home assessed for asbestos, and if found, to implement an asbestos management plan. But why aren't more Australians doing this, considering the enormous health impacts of asbestos? Research conducted by the Asbestos Safety and Eradication Agency (ASEA) shows that most people cannot identify asbestos, have a low level of awareness of asbestos and its risks, and are concerned about the cost of implementing an asbestos management plan. My thoughts? Better the devil you know! Many homes contain asbestos and most asbestos is not the loose-fill type. It is managed through an asbestos management plan rather than absolute removal / demolition. Asbestos is best found and managed, than ignored. We have a responsibility to create a safe space for tradespeople, tenants and owners alike. Is your New Purchase "Investment Grade"? How can you know? What does it really mean to own an “investment grade” property? Generally speaking, holding an investment grade property with high growth potential in future years means purchasing a property that will leave you out of pocket each week, in the first few years at least. This is because high growth properties tend to have low rental yields. These are the ones that perform better over the long-term. But what drives capital growth, to assure a buyer of future benefits for their short-term shortfall? The main driver of capital growth is demand. This means that when it comes to buying real estate, purchasers should consider buying properties in locations where people want to live and have always wanted to live, where rental yields are not very high, where there is strong local economic growth, jobs and wages growth. Consider purchasing in areas where there are employment opportunities, strong transport networks, close to beaches, close to the CBD, with shops and entertainment near by. Consider what appeals to owner-occupiers, because it is owner-occupiers that drive price growth / capital growth. Also consider homes where you can manufacture capital growth, ie, buy something that you can renovate to increase your capital growth. Major reforms to real estate practice will be introduced in New South Wales later this year. These reforms are considered to be amongst the most important ones to reach NSW in the past 30 years. Many years ago, the Government decided that it would be desirable for there to be more competition in the real estate industry. In response, the entry requirements were relaxed, making it easier for people to enter the industry and set up shop, as it were. The negative impacts started to show. Lower initial education requirements, lower experience requirements and the ability to maintain a certificate of registration indefinitely without progressing to a real estate license have perhaps resulted in poorer standards within the industry, consumer complaints and loss of confidence and business failures. The reforms hope to address this by increasing the education standards for new entrants to the industry and enhancing the ongoing education requirements. Certificate holders must progress to a license within a certain time-frame; they can no longer hold a certificate for ever. There are enhanced limits on what a certificate holder and a license holder can do, and added supervision requirements for the licensee-in-charge - which, incidentally, is a newly created position. The course leasing to a certificate of registration is having additional subjects added to it. The net result of these reforms will be a more highly educated workforce, with enhanced supervision and an improved career path mapped out. In time, this will improve consumer confidence in the real estate industry and assist us to progress to the next step: that of being recognised as a profession. Melissa Maimann is a licensed Real Estate Agent and Buyer's Agent in Sydney. She assists home owners and investors alike with an affordable service that empowers you to make smart purchase decisions. Melissa's service is fast, efficient and accurate. If you need a hand with your next purchase, don't hesitate to make contact. High Rental Return? Low Rental Return? Which is Better? Smart Property Investment sheds some light on which one is superior. It turns out to be low rental returns. This is because almost always, lower rental returns go hand-in-hand with higher capital growth, and capital growth trumps rental return. For example, if the rental return is 8%, but the value of the property goes down by 10%, the holder of that property is down 2%. Whereas a similar property may have only a 3% rental return, but a 6% capital growth, and this equates to a return of 9%. The issue with capital growth is that it is all theoretical until the property sells, whereas rental returns are known week-in, week-out, and everyone likes to come away better off each week, even if it only by $30. It's important tor recognise that the property that takes money from your hand each week, is far more likely to reward you handsomely if / when you sell. But of course, if you can afford to - never sell. In time, all properties are positively geared because as the mortgage is paid down to nil, that property will begin return a profit for you ... as well as capital growth! Although more and more real estate buyers are finding value in using a buyer's agent, it is also true that many more are going unrepresented. The question is: is it worth it for a property buyer to have their own agent when they purchase a property? Currently, the vast majority of property buyers purchase without representation. They use the selling agent, online resources, family and friends to assist them with their purchasing decisions. And for the most part, this approach seems to be working well - or is it? Strictly speaking, the selling agent is not there for the buyer. They are there (ie they have a fiduciary duty) to the seller. The seller has engaged the agent; the seller is paying the agent; the agent has a contractual - and fiduciary - obligation to the seller. So, in effect, a buyer who relies on the advice of the agent who is selling the property is somewhat akin to a spouse turning to their soon-to-be ex spouse's lawyer for advice on the divorce. Nowhere in this description does, "act for the buyer; represent their interests; ensure that this home really is right for the buyer; negotiate the purchase price in the purchaser's best interests" come into it. These are all the tasks of the buyer's agent - who has a contractual - and fiduciary - duty to the buyer. The average person buying a home purchases only two to five times in their life. The average buyer's agent purchases two to five times per month. Purchasing a home takes most people at least 12 months. In a rising market, this costs the buyer. The reason that purchasing takes the average buyer at least 12 months is that a) for most people, purchasing a home is not their full-time job: in fact, they already have a full-time job, and house-hunting is done on the side, in amongst everything else that happens in normal daily life. A buyer's agent is focused on property all of the time. There are efficiencies to be gained from this. Most buyer's agents purchase in 4-8 weeks, sometimes sooner. This means that clients actually purchase for less and have more money in their pockets due to the time advantage against increasing capital growth. This fact alone means that people who use a buyer's agent are ahead, even when the buyer's agent's fees are taken into account. Are there any reasons not to use a buyer's agent? The main reason that people are hesitant to use a buyer's agent is the cost. Some agents charge anywhere from 2% - 3% of the property's purchase price; others around 1%; others have a fixed fee that increases along with the property's purchase price and so on. At Melissa Maimann Buyer's Agent, the fee structure is as fair as fair can be. A quote is provided based on the complexity of the search, rather than the purchase price. Real estate is potentially the single largest purchase a person will ever make. Not only is it expensive in its value, but it costs money to buy it (stamp duty) and sell it (marketing and agent's fees) and it is not particularly liquid, meaning it cannot be easily and cheaply converted into cash and it cannot be split into smaller pieces which can be sold off, as with shares. As well as this, the property needs to be sold to realise its actual value; until it sells, its sale price is only theoretical. Considering the cost of property purchase and the average person's inexperience at purchasing property, certainly, the wrong decision can be costly. Very costly. How can a Buyer's Agent help? A buyer's Agent is a licenced real estate agent who specialises in representing buyers through the purchase process: it is the opposite side of the coin to a selling agent, who woks for the seller of the property to represent their needs. 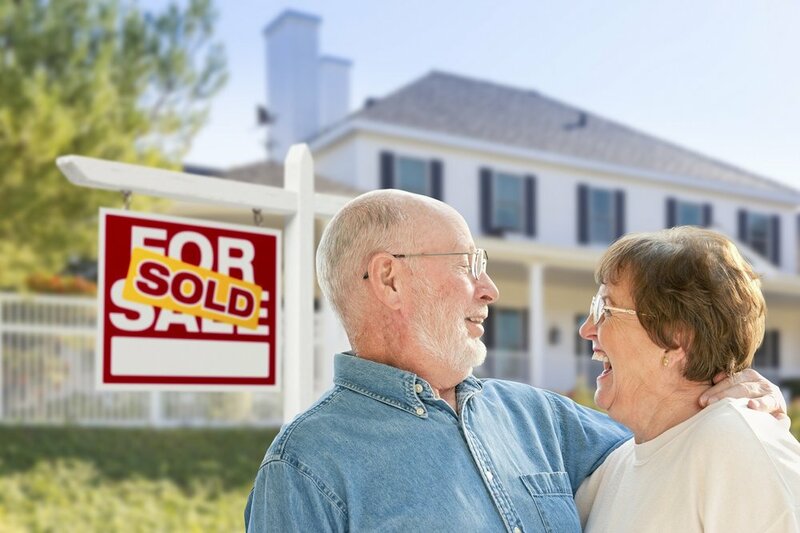 A buyer's agent successfully and efficiently matches properties to people, evaluates properties, negotiates the purchase and represents the buyer. They do not list properties for sale and do not represent sellers. Let's face it: most people work, have families, have a life. Finding a property - the right property - is a full-time job if done properly. You need to know what's on the market, know what the properties are worth, which ones represent great value, which ones are over-priced which ones are fantastic, red-hot properties vs which ones are ... not, which ones might sell now, which ones are likely to be passed in at auction and so on. 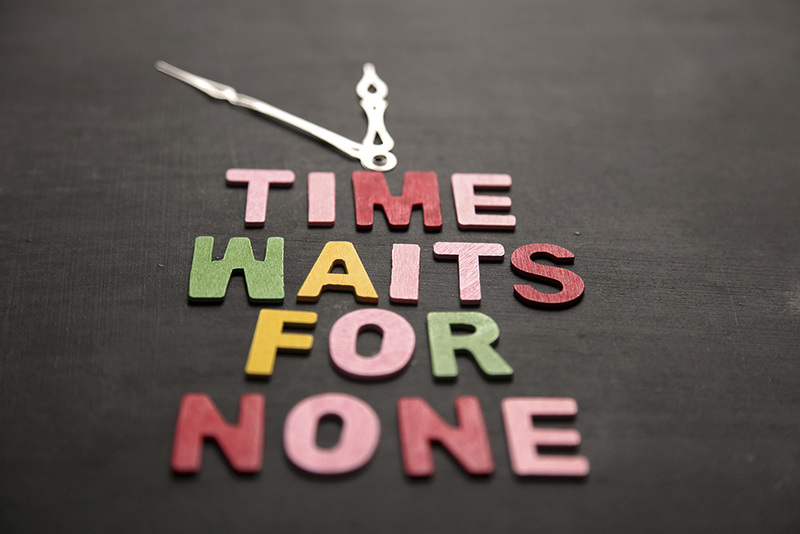 Put simply, most people simply don't have the time to successfully purchase within a short time-frame, and also lack the time and resources to really know and evaluate the market. A buyer's agent buys properties all the time and does so as their full-time job. A buyer's agent takes over the searches for you, saving you time trawling through online ads, making dozens of enquiries of agents, evaluating the homes with access to professional property data that is only available to real estate professionals, attends inspections on cold wet days so that you don't have to, reports back to you on properties, short-lists them for you and negotiates the purchase of the right property for you. You can be involved as little or as much as you like throughout the process. Are you sure this property is the best one for you - for now and in the future? As mentioned above, it is expensive to buy and sell real estate. Yet so often, people buy the wrong home, and later regret and we find that that home is back on the market, often selling for a net loss. Ouch. A buyer's agent - skilled in knowing what people need and in matching homes to people's needs - as well as their skills in evaluating and negotiating purchase prices and terms - makes it a no-brainer. When your purchase is represented by a buyer's agent, you can be assured that the home you buy is right for you, both now and in the future. For most people, the purchase of a property is an incredibly emotional experience. This results in many people over-paying (even beyond their means) at an auction, generously appraising a property - far more than its true value, viewing the property through rose-coloured glasses and revealing far more than they perhaps ought to o the selling agent. When you have a buyer's agent acting for you ad on your behalf, the emotion is removed. The only properties you get to know are the ones that are highly suited to your needs ... ie, the ones that you can fall in love with because they're highly likely to be "The One"
Successful property investing is a long-term view. The rewards come in time, not instantaneously. Oftentimes, what appears to be a fantastic opportunity is all-too-often too good to be true: that brand new development promising 7% yields with a rental guarantee, for example. Often, if it sounds too good to be true, it probably is. The reward may be there, but so might the risk. The longer you can hold your property, the better you will do in the long-term. I say the long term because property moves in cycles, and in the short-term, many people can and do lose money. The long-term view evens out these bumps in price and ensures growth over a long period. Many investors base their choice of investment property on what they personally like, ignoring the fact that they will not be living there: someone else will be. Every investor must consider the factors that mane a property and an area attractive to tenants, so that they can be sure of a rental return and ongoing growth in the value of the property. The area might be great, but the property is on the main road and plagued with mould from rising damp. Bad move. Or it might be a fantastic property but miles away from schools, shops, transport, work and so on. Again, bad move. The ideal rental property is in an area of high demand, where people like to live, and of course it needs to be an awesome home that people will love to live in. That's how you minimise rental vacancy and maximise the value of your home over time. Successful property investing requires a separation from logic and emotion; from facts and fiction; and of course a thorough knowledge of the market. A smart property investor has their own agent to represent their interests and help them to make wise decisions that are based on on data, evidence and property fundamentals. A buyer's agent knows where the areas are that have the best property fundamentals for growth and low rental vacancy. Some investors focus on rental yield, that is, a property that returns them a profit every week. Generally, the homes that have a high rental return have a low capital growth, that is, they tend not to go up in value very much over time. Conversely, the properties that tend to appreciate more in value over time tend to not return a profit to the owner every week - in fact, they cost money each week. Which is better? Generally speaking, the low yield / high growth properties return more over the long-term than the high yield / low growth homes. Capital growth is what helps people build wealth through property. Sounds odd? Let me explain. At any point in time, there are roughly 35%-33% people renting (depending on the area you're looking at), and the remaining majority are owner-occupiers. So, while the home you are buying now as an investment is intended for tenants and should appeal to tenants, also buy with a mindset that in time (preferably a very long time!) you may wish to sell, and if you, do, most likely, your purchaser will be an owner-occupier. When you buy, consider who the next purchaser might be, and ensure that your property could appeal to an owner-occupier and a tenant. Melissa Maimann is a Licenced real Estate Agent and Buyer's Agent in Sydney. She assists home owners and investors alike with an affordable service that empowers you to make smart purchase decisions. Melissa's service is fast, efficient and accurate. If you need a hand with your next purchase, don't hesitate to make contact. A while back, important new legislation came into effect banning the practice of under-quoting. Under-quoting occurs when a real estate agent quotes the price of the home (price guide) much lower than what the home is actually worth, to make it appealing to a larger audience. For example, a property that is most likely going to sell for $1,000,000 might be priced guided at $800,000. This tends to draw in people who cannot afford the home, who then spend time, money and emotions on evaluating the home, ordering reports, having the contract reviewed by their conveyancer, and of course attending the auction (the more at the auction, generally the higher the selling price as more people gives the perception of more interest in the property and drives prices higher). When the property eventually sells for a lot more than $800,000, of course there are many disappointed would-be purchasers. NSW Fair Trading ruled out this practice, yet new data suggests that this practice is still alive and well in the most in-demand areas of Sydney: The Inner West, Northern Beaches. When inspectors visited 37 real estate agents in the Inner West, 27 were found to be non-compliant and 19 were fined for under-quoting offences. In the Northern Beaches, 12 of the 17 offices were fined, with seven being for under-quoting. Buyers who are represented by their own buyer's agent are less likely to fall victim to under-quoting because the agent that is representing the buyer knows the market, the homes, the agents and the likely sale prices of the homes that are of interest. Their clients can be protected from under-quoting by the provision of high-quality information on properties that enables buyers to make savvy purchase choices. Property Investing. Are you game? Property is one of the best forms of investments, so they say. Many people aspire to invest in property, and many achieve this aim. But is it all it's cracked up to be? Here are some home truths. 1. Property markets go through cycles. They rise and fall. Properties generally rise in value over time, doubling in value roughly every 10 years (a complete property cycle), but within that property cycle, it is normal for the property's value to stabilise - or even decline - for a period of time. No property goes up all the time. An astute investor knows this and is willing and prepared to hold tight through the peaks and troughs. Property investing is a long-term strategy: all investors should aim to hold for at least one full property cycle. This tends to be the safest and less risky approach to property investing, although there are other strategies that work very well for some buyers. Sometimes, properties in great areas go down in value: it's just what the market does sometimes. Recognise the opportunity and buy! That great property will soon rise in value, and you've scored yourself a great home for less than what you might have paid at any otehr time. Why are we all hooked on reading the latest market predictions? It's always fascinated me! No-one has a crystal ball. No-one knows. Take the time to learn solid property fundamentals: what drives growth, what features are attractive to people - study those well and make savvy decisions. 4. The most successful property investment is the most boring one. A great investment property is boring. Nothing really happens. Some maintenance work, tenants come, tenants go, rent comes in, the property goes up over the long-term ... it's boring. If it's any more exciting than this, maybe it's not the best investment. Property is a set-and-forget investment option. Data is easy to manipulate. Experts may not be so expert. And of course, no-one knows what is around the corner. Educate yourself, but ensure that the people you surround yourself with and the avenues you seek for advice are worthy of your attention and consideration. Property investment advice is an unregulated industry, and anyone can be a real estate expert. Many people don't understand the difference between good debt and bad debt. bad debt is that debt that we take on to secure a depreciating asset. A car is a depreciating asset. Don't take on debt to buy a car. A property is an appreciating asset. That is a good debt to take on, because over time you will pay off the debt that you owe and end up with an asset that is worth substantially more than what you paid when you bought it. All homes go up over the course of a 30-year mortgage. Your car probably won't be around in 30 years' time. Melissa Maimann is a licenced Buyer's Agent in Sydney. She assists home owners and investors alike with an affordable service that empowers you to make smart purchase decisions. Melissa's service is fast, efficient and accurate. If you need a hand with your next purchase, don't hesitate to make contact. Many landlords make some genuine mistakes when they are renting their homes out. Landlords provide an essential service (housing) to renters, and as with all services, the consumers of that service (renters) have rights - and landlords, responsibilities. These are mostly geared around the landlord's responsibility to provide a safe environment for their tenant, to respect their privacy and to tend to repairs promptly. For tenants, it's important to always pay the rent on time, look after the property and report any repairs / maintenance immediately. It is very difficult to evict tenants. As tempting as it may seem to accept the first person who applies, it's important that thorough checks are carried out, both by the agent and by the landlord. Poor screening could mean ending up with a tenant who doesn't pay their rent, damages the property and won't leave. All this does is increase costs for the landlord in the longer-term. Repairs that are left become more expensive as time goes by, and a property that is not maintained in good condition will not achieve the best possible rental return. As well as this, failure by the landlord to carry out necessary repairs and maintenance is grounds for the tenant to issue a termination notice. It's illegal for landlords to discriminate against a group of tenants, for example due to ethnicity, sexual preference, religion, marital status, children and so on. Application approvals need to be on the relative strength of the application in relation to the other applications that are received. The main things that the landlord should look for in applications is the tenant's demonstrated ability to pay the rent and their demonstrated ability to look after the property. I am genuinely shocked that some landlords don't have landlord insurance, assuming that because there's a bond, they are safe. In many instances, the damage / loss of rent from a tenant far exceeds the amount of the bond that has been paid, and this is where landlord insurance comes into play. But, not all insurance is created equally. It's important to look through the fine print and work out what is covered, what's not covered, and what amounts the insurance will pay out for each item. There's a big different between only 6 weeks cover for loss of rent, vs 52 weeks. Shop around and compare your options. But whatever you do, get insurance! As always in the property market, multiple (often conflicting) views abound. Is this a good time to buy in Sydney? Should investors purchase, sell or hold? Is it a good time to buy a home to live in? There are some of the many questions I am asked each day. My thoughts? I believe this is one of the very best times to be buying in Sydney. And if you currently own your home or investment - don't sell. Why is it one of the best times to buy? 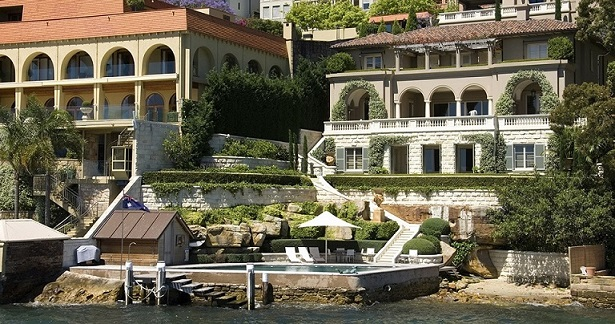 Property prices have softened in many areas of Sydney. Most areas have experienced a decline in prices for both houses and units, and at best, other areas have remained stable. The point is that for the first time in many years, prices have not gone up. It is clearly a buyer's market: properties are taking slightly longer to sell, auction clearance rates have declined, prices have come down in many areas and vendors are needing to turn their attention to the desires of vendors if they wish to sell. Interest rates remain low, however in coming months we may see a rise in rates, and certainly over coming years, we will see a rise in rates. Low rates combined with softened property prices combine to make this the best time for buyers to purchase. We have most definitely reached the peak of the last property cycle and are now at the bottom of the next cycle - and although prices could still drop further, once the trough has been reached, from there, the prices will increase. Now is definitely the best time to buy! New short-term letting regulations are set to commence. What do they mean for investors (hosts) and guests? If the property owner lives in the property, they may use a room/s in their home for short-term letting 365 days a year without submitting a development application to Council. They may also allow their entire home to be let short-term while they are away on holidays. However, if the property is not the host's principal place of residence and the home is located within the Greater Sydney area, the host will be limited to renting out the home for a maximum of 180 days each year, and under strict regulation that is designed to ensure that hosts / investors can continue to gain from the economic benefits of short-term letting, while protecting neighbours from anti-social behaviour such as noise, disturbance and damage to common property. Owners corporations may adopt a Special By-Law with a 75 per cent majority vote to prevent property owners who do not live in their unit from short-term letting their property. In other words, with a 75% majority vote, an entire unit block can prevent all owners from short-term letting their units: now and in the future. The cost of making and changing a Special By-Law means that once set, a Special By-Law is not likely to be changed in the near future. The presence - or absence - of such a By-Law may impact property prices in that block (positively or negatively, depending on the mix of owners, long-term tenants and short-term tenants). Properties where the owner does not live in the property may only be available for short-term letting 180 days of the year (Greater Sydney area). If the owner lives in the home, there is no limit on short-term letting. A mandatory code of conduct will be established for both hosts and guests to address impacts on neighbours such as noise, disturbance and effects on common property and shared spaces. A two-strike policy will be introduced, where if hosts or guests seriously breach the code twice within a two-year period, they will be banned for five years and placed on an exclusion register. This would mean that online platforms and agents will not be permitted to offer services to any person (or dwelling) that is listed on the exclusion register. A complaints register will be established and complaints will be assessed by independent adjudicators who will be required to make decisions on evidence and after giving both complainants and respondents a chance to put forward their case. The majority of properties are owner-occupied, and it's owner-occupiers that drive up property prices. It's reasonable to believe that owner-occupiers will be attracted to properties that do not allow short-term letting; this may result in lower demand for properties that allow short-term letting and hence devalue those homes; alternatively, if fewer homes allow short-term letting, the investor demand for such properties may increase. Investors who wish to let their properties on a short-term basis may need to consider leasing the property long-term on a 6-month lease in quiet times and transferring to short-term letting for the busy period. However, most tenants these days do not like 6-month leases: the trend is towards long-term leases, so investors may need to discount the rent to get a 6-month lease. Higher rates for short-term letting: the reforms are likely to impact on supply of short-term accommodation, particularly as some owners corporations act to rule it out in their blocks. The impact may be diminishing supply of short-term accommodation and hence an increase in rates. This could be a positive move to restore balance to the long-term rental market. Buyer beware. We hear it often in relation to purchases we might make. Generally speaking, the onus is on the purchaser to ensure that their purchase is suitable for their needs, yet time and again, we hear of people who regret their purchase: real estate or otherwise. People who are looking to buy a home are sometimes caught up in the emotion of their purchase, while people seeking to purchase an investment property can tend to be less discerning about the particulars of the property, focusing on price and rental return. I take the view for all of my clients that a property is a significant purchase, and we do take the time to do the right checks before a purchase goes ahead. This helps ensure that down the track, the property will continue to meet my client's needs. Often times the simplest of measures can be neglected, such as relying on a friend / family member to review a contract for sale, rather than engaging a property lawyer or conveyancer, in attempt to save on costs. More frequently, people may neglect to obtain a building and pest / strata report for their property, only to find major issues later, such as structural damage, termite damage, a strata committee in disarray or looming large special levies. I enlist the services of experienced and professional colleagues to review contracts, attend building and pest / strata reports because we want the best outcomes for my clients' property purchase. I ensure that my clients are always fully informed and that they understand what they have been advised, reviewing the advice with the client if need be. Together, wedecide whether that particular property is going to meet their needs now and in the future, or whether we are best to continue our search. If you need a hand with your first or next property purchase, I'd love to assist you. My affordable service often saves you much stress, money and frustration in the short- and long-term. You are the first to know when a property of interest comes on the market. More importantly, you're the first to know when a property that is not on the market, becomes available. Buyer's agents are the first to be alerted to off-market and pre-market opportunities. Use this to your advantage! All of the logistics of a property purchase are handled for you: the ordering of building, pest and strata reports, ordering the contract for sale, arranging a solicitor, liaising with your finance broker and of course the sales agent - all of this is done for you. All of the property inspections are arranged for a time that suits you - and you know you're only seeing a property that is highly likely to be "the one". All of the properties you see have been inspected by your agent - someone who knows in detail what you're looking for - and you have already received an in-depth report on the property you're going to see, to know that it is highly suitable for you. You receive in-depth information about the properties you're interested in - including information that is only available to property professionals. This information can help to successfully negotiate the purchase price down, much of the time. Access data on the neighborhood, city, real estate conditions and nearby homes and helping you understand all of the information you need to know about your property purchase. Great recommendations for finance brokers, conveyancers, sales agents (if you have a property to sell), builders etc. A buyer's agent such as Melissa has MBA-level negotiation skills to help you secure a property for a lower price. Today I want to share with you some of the best tips I know for increasing the rental return of your investment property. Don't scrimp on professional photography. A professional photographer will highlight the best features of your property and de-emphasise the worst features. Ensure that the written part of the ad makes sense, is free of spelling errors and reads well. You're trying to attract a certain type of tenant: one who will take pride in your property and look after it. That type of tenant will be attracted to a professional ad. Get an excellent landlord insurance policy. Check what it covers and what it doesn't cover. If you are in a flood prone area, ensure it covers floods. If the property needs minor repairs and maintenance - complete these before you show the property for the first time. A coat of paint, new carpet, new blinds - these make a huge difference. Provide excellent service to prospective tenants. Show the property even if it's not open for inspection. Allow tenants to ask questions and answer them honestly. Make sure the property is always well-presented when you show it. It you've chosen a property management company, ensure that they hold high standards for presenting properties during open homes. When you receive an application, process it as soon as you are able to. Keep the tenant in the loop as to where you're up to with their application. If the tenant has a pet, try to accommodate their application. Many people have beloved pets and find it very hard to find a rental property. You might wish to increase the rent slightly, and if you do allow a pet, ensure that your landlord insurance policy covers for damage from the pet - otherwiseyou'll need to come to an agreement with the tenant about possible damage from their pet. Tenants are normal people, like you and me. If you wouldn't live there, don't expect your tenants to. If you wouldn't put up with whatever the tenant is complaining about - don't expect the tenant to. Generally speaking, if you look after your tenant well, they'll look after your property. A thorough condition report (including photos) completed by you and the tenant is really important. If there are any discrepancies, make a time to visit your tenant and discuss these with them. What sorts of features are considered a "must-have" in a property? It's different for everyone, of course. But if you're buying a property that you want to hold long-term - especially a property that may become an investment property - or even one that you plan to sell shortly - you must consider buying the sort of property that will a) be easy to sell; and b) be something that tenants will love to live in, to minimise your rental vacancy rate. Not located on a very busy main road: the tail end (quieter end) of a main road may be fine, and a back-street is also great. Close to transport: within 100-200m of a bus stop, and within a 10-minute walk of a train station - but not so close that the bus stop and train station are right outside your bedroom window. An outdoor living space that flows from an inside living space: a balcony / terrace / garden that flows from the lounge is ideal. A living space that is proportional to the number of bedrooms. Aspect, aspect, aspect. North is best. Buy in an area that is in demand, and has always been in demand. A good rule of thumb is to buy in areas where there are older properties and current demand. This suggests an area where there has always been demand, not just now, but also in the past: an area such as this will almost certainly have steady demand into the future. Buy an established property. While you may be able to depreciate more on a newer property, you may be in for headaches down the track if there are significant building defects. Parking: if the property doesn't have parking, that's ok so long as there's accessible street parking, or you're in an area that is very well served by public transport. Cafes and shops: we all like to be able to go to the local store to get some milk; walk to a local cafe for a great coffee; pop around the corner for some wine or a great gift for a friend and so on. So there you have it: some general ideas for choosing a great property. Let's face it: moving house is never fun. It's a huge job in itself. I wanted to share some tips and pointers to make your next move smoother and easier. Pack the things you don't need to use, first. Books, DVDs, your summer clothes (if it's winter), the things you rarely need to use: pack all of that stuff first. Fill each box well. Half-filled boxes break more easily. Use packing as an opportunity to have a sort out and throw out of things you no longer need. Choose a reputable removalist. Seek out references from family / friends who have used the removalist service. Clarify their prices and exactly what they will do for that fee. Ensure that you provide all of the information that they'll need to know to give you an accurate quote. Things like stairs, poor access and heavy / bulky items all inform the quote. Choose wisely, check them out well and be very clear with what you need. Where ever possible, speak with the person who is actually doing your move, not the call centre staff. The best thing is to have about a 4-7 day overlap between needing to leave your old home, and being able to move into your new home. Eg - able to move into your new home on Monday, but able to still live in your old home until at least Thursday of that week. Why? This gives you time to clean your new home before moving in; it creates a buffer if anything should happen with your pre-arranged removalist service; it allows for things that can come up unexpectedly - eg sickness; and it reduces the stress and pressure of moving. Most people clean (or arrange to have cleaned) their hold home and also their new home before they move in. If you're doing the cleaning yourself, remember to bring a few things for you: soap and a hand towel so that you can wash your hands, toilet paper, some coffee / tea / something to drink, a snack to eat. And of course all of your cleaning stuff. Sometimes if you're moving somewhere that is close to where you currently live, it can be a good idea to move in stages by filling up your car with boxes / items and moving them into your new home. This can be really helpful for moving the things that you won't need right away, or is space is an issue in the place you're leaving. Professional help is available, whether you're moving into a home you've bought or are looking fr a rental property. Enquire here.